Rocket League, which launched in the summer of 2015, continues to outdo itself. 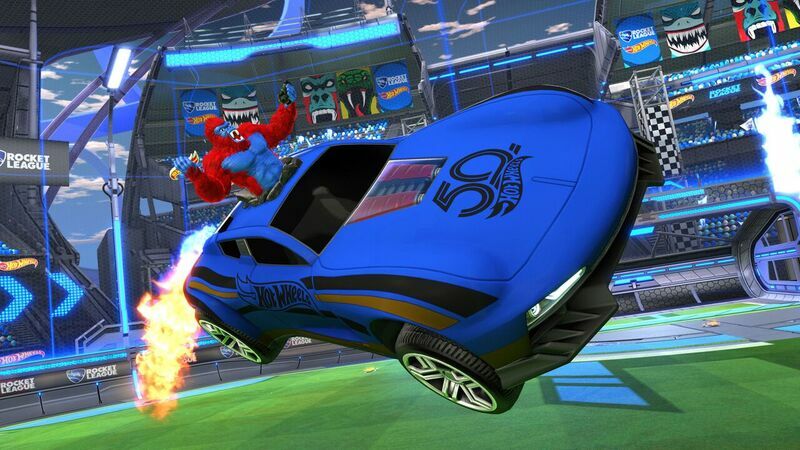 The team at Psyonix recently took to Twitter to announce that the indie title has crossed yet another milestone. Rocket League now boasts a player count of 50 million users worldwide. This kind of continued growth is rare, especially where indie game are concerned. However, Psyonix’s commitment to its community spearheaded the game’s insurmountable success. The developer maintains communication with fans, updates Rocket League often, and has promised the 2015 release will remain sustainable for the foreseeable future. Instead of pouring work into a proper sequel, Psyonix seems more than content with adding to the foundation that’s already in place. In the past, developers from the team have spoken about wanting to stay the course in this regard. Why develop a Rocket League 2, when the games-as-a-service model allows Psyonix to “expand the existing Rocket League” for players? Of course, a constant stream of new DLC keeps the motor running, too. For instance, Psyonix and Hot Wheels are teaming up for the Hot Triple Threat DLC Pack and update, which goes live on September 24, 2018. Included in the update are a new arena, new cars based on the Hot Wheels brand, and new items. Surely, Rocket League can only continue to grow from here.